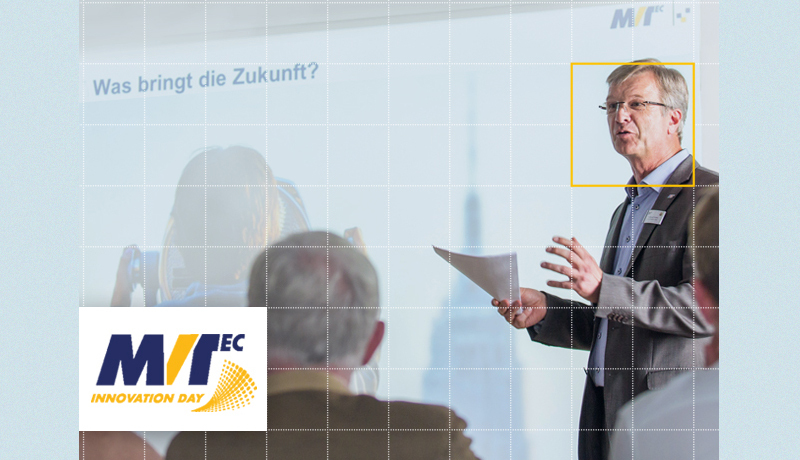 The event will be held in German only. The seminar's €79 fee includes snacks and a lunch buffet. Please register no later than Friday, May 3 and visit MVTec for complete information. AMPER 2019. Brno, Czech Republic. Booth V-314. March 19 - 22, 2019. AUTOMATE 2019. Chicago, USA. Booth 8563. April 8 - 11, 2019. The new MIPI® / CSI-2 module lineup features a variety of industrial sensor modules and supported platforms. 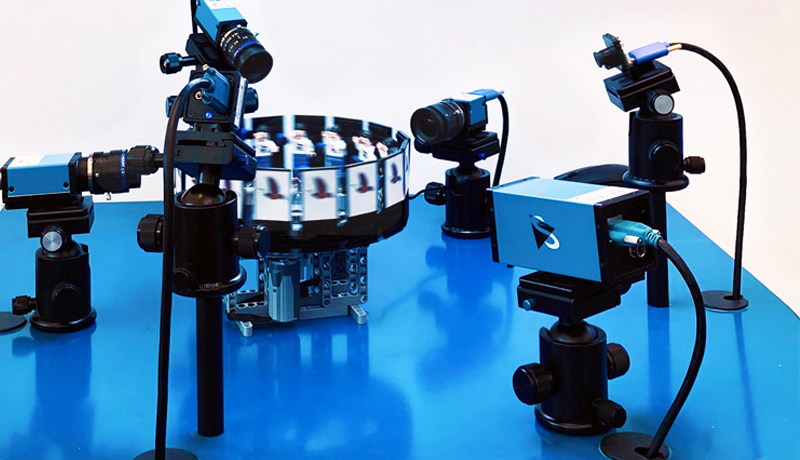 The compact systems directly execute demosaicing, color correction and other post-processing tasks via the ISP of the embedded target platform. Additionally, The Imaging Source offers a bridge solution using the FPD-Link® protocol. The FPD-Link III bridge allows for cable lengths up to 15 m and simultaneous data transmission, control channels (e.g. I2C or CAN) and power over a single compact coaxial cable. The Imaging Source provides embedded system solutions based on the powerful embedded platform NVIDIA® Jetson TX1 / TX2. In addition to its powerful GPU, it offers a dedicated ISP which processes 12 CSI-2 camera lanes with up to 1.5Gbps per lane and up to six simultaneous camera streams. 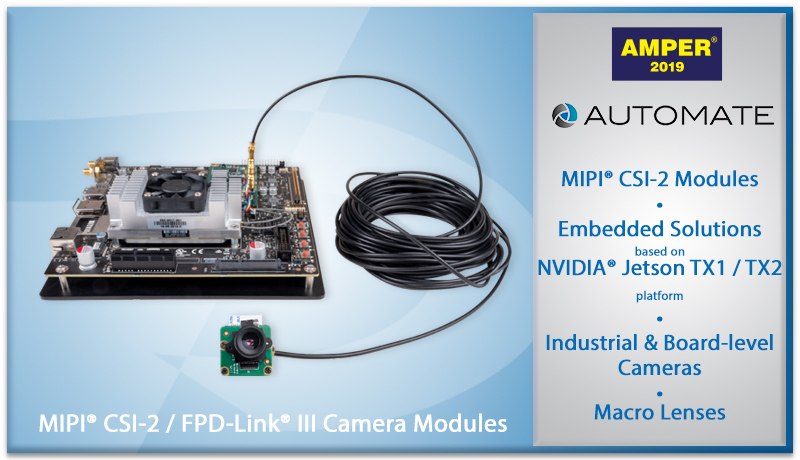 In addition to the new MIPI/CSI-2 modules, "AI Labs", a subsidiary of The Imaging Source dedicated to automation intelligence and artificial intelligence, will introduce their first product, Pick & Load. Pick & Load is an affordable and efficient solution for the automation of machine loading and unloading tasks. Even small and medium sized enterprises can now automate their CNC loading and unloading tasks. 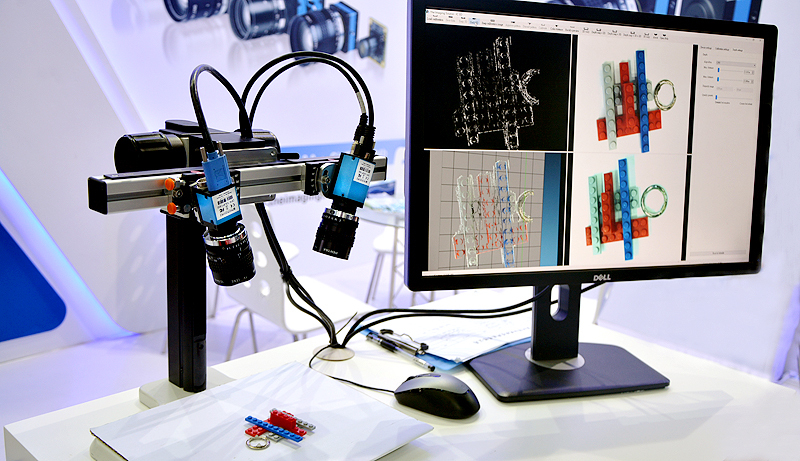 A compact 3D sensor with active illumination is integrated with an embedded system and smart software to deliver a cost-effective solution with low power dissipation and a compact form factor. With a minimum amount of time and effort, Pick & Load can be configured to load and unload unpalletized parts from tables, palettes or drawers. Please contact our Sales Department, if you would like to schedule appointments during the trade shows. 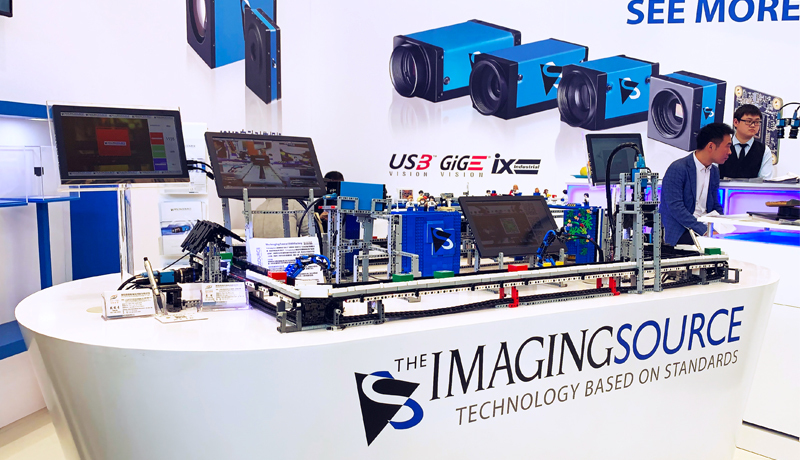 The Imaging Source will present a range of imaging hardware and machine vision solutions including the new USB3 Vision standard compliant USB 3.1 (gen.1) board-level and industrial cameras as well as the stereo 3D system, IC 3D at the New International Expo Centre in Shanghai. 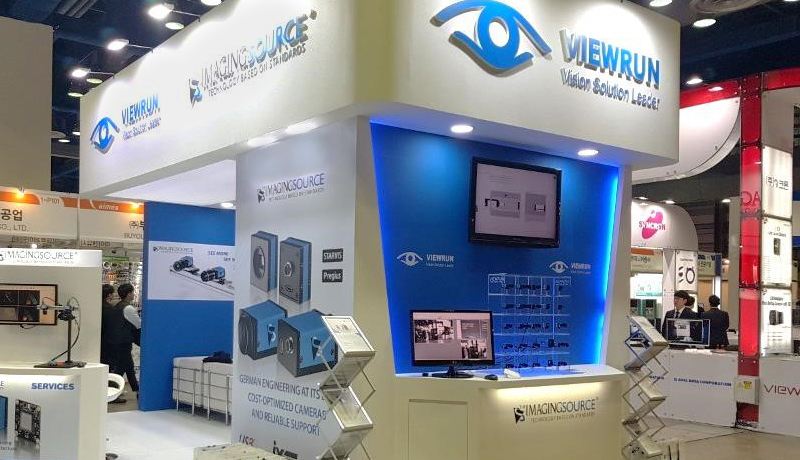 Vision China Shanghai 2019. Shanghai, China. W5, Booth 5412. March 20 - 22, 2019. We have been blogging since 2007. All old posts are in the archive and tagcloud.